Update - 2018.11.20The Approach G7 has been retired from the game! Garmin has plenty of other great options when it comes to handheld GPS devices that are worth checking out instead. The Approach G10 is a handy pocket-sized wearable device. The Approach G30 is a compact, touchscreen handheld GPS and of course there is the extremely popular, sleek and smart Approach G8. 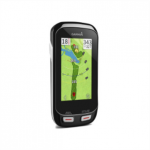 The Garmin Approach G7 Golf GPS is pre-loaded with more than 40,000 courses worldwide and all the vital info is displayed on a 2.6 inch color touchscreen. Not only do you get distances to the front, center, and back of the green, you’ll also have those angle compensated distances for a true distance to the hole with the Plays Like Distance feature. This is a savvy little golf GPS and is jam-packed with features that you might not even get time to use. But, for all it has to offer, it is excellent value and dozens of Garmin G7 reviews online have agreed. On average, it has been pulling in some great consumer ratings and it’s very likely it’ll get even better over time. Can the GPS compensate for slope/elevation changes? The Approach G7 and the G8 do have the capability of providing slope adjusted distances for uphill and downhill shots thanks to the PlaysLike mode. This isn’t a feature typically seen with handheld GPS devices, or even watches for that matter. It’s definitely a bonus if you’re wanting some serious accuracy if you intend to play and practice on some hilly courses. Although the slope feature on this GPS device makes it significantly appealing, you do have to note that it makes it an illegal device to use in the tournaments. If you’re okay with that because you play as a non-pro, then this is a rangefinder for you. The rechargeable internal lithium polymer battery lasts for around 15 hours. That’s almost double what competing golf GPS devices can offer. Even with the brightness setting all the way up and use of the backlight, you will unquestionably get, at the very least, one good and slow round in with time to spare too. You could go try for two, but you may want to be conservative with the aforementioned features to extend out battery life. Does this have a club selection feature? Like some premium laser rangefinders, you’ll notice that the G7 and its sibling G8 both have a club selection feature that can advise you on what club to pull during your game – what a benefit that is! To enable this feature, you do have to use Shot Measurement first to record these distances and assign preferred clubs to them. These bonus features will calculate your club averages and voila, you have your very own caddie. What is Big Numbers Mode? It’s exactly what it sounds like. A lot of players turn to GPS rangefinders over laser because they prefer less eye-sight work in trying to get a distance; GPS watches and handhelds help with that. But, even still, sometimes small screens without an audio option doesn’t really help the hard-of-seeing types. Big Numbers Mode displays the numbers… big. If this feature still doesn’t help you while on the course, then maybe you shouldn’t be playing. Just a suggestion. Are there any other score cards available with the Garmin G7? 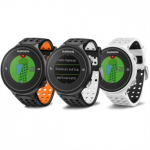 Unlike Garmin’s S series watches with only two scoring options available, the G7 and the G8 actually have expanded this feature. Now, you can also keep score for an additional three players to make a total of four. You can even keep track of optional adjustable handicaps too. Like the watch versions, you still have the available Stableford and Stroke Play, but you can now also enjoy Match and Skins play score cards as well. Does the device pick up distances to other ponds, creeks, and various targets that aren’t exactly on the fairway? Yes, the G7 can pick up the distances to any of these marks, even though they may not be on the fairway. If they’re next to or running across the fairway, it’ll probably still be included in the mapping detail, even though it’s not a hazard per se. If you’re that bad of a shot, and your ball happens to land in one of these non-hazards, I’d say you need more practice. To ping up the strokes, the Garmin Approach G7 is an impressive golf gadget. It’s more than a rangefinder, it’s a digital caddie that you can take with you all over the world. It can do practically everything that you could ever need to improve your golf game. The only feature it doesn’t have is wi-fi connectivity. What does have have wi-fi? The Garmin Approach G8! If you want to spend a little bit less, the SkyCaddie Touch is a consideration. However, you will have to make up those savings with annual fees and membership dues for full online access. But, Garmin really leaves little room for you to look elsewhere. They are A-1 when it comes to GPS and navigating your round. They only need to do a little bit of charmin’ when you’re deciding on a Garmin. Be prepared to pull out the cash! 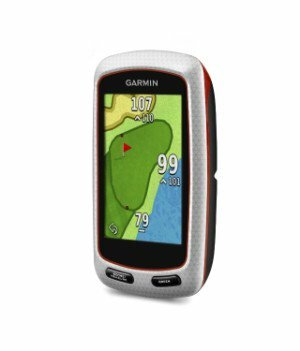 Update - 2018.11.20The Approach G7 has been discontinued but you can check out Garmin’s new handheld GPS options right here – https://golftamers.com/garmin-golf-gps-reviews/.